Temperatures in California may still be in the eighties, but now that we are in October, school is firmly back in session. The beginning of the school year is always a good time to review safety rules for the road, and talk about them with newer drivers like teens. Experienced drivers also benefit from some reminders about the safety hazards that are unique to the school year, particularly the times of the day when school is letting out in the afternoons or about to begin in the mornings. As Southern California personal injury lawyers, we see an uptick in injuries this time of year that are easily preventable if drivers take the time to review these hazards. Here are some Rules of the Road to keep in mind this school year. Never pass a school bus when its stop sign is out, its lights are flashing, or you can see children loading or unloading. 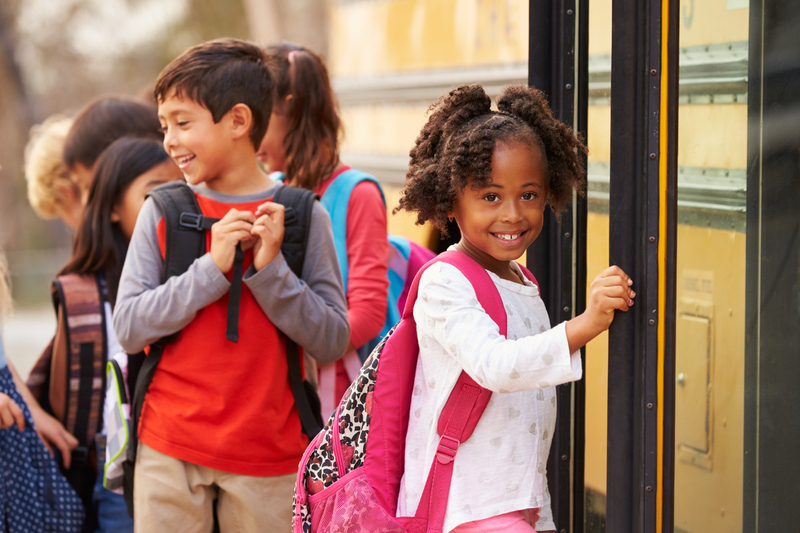 Children rushing to make it onto the bus, or those exiting the bus after school, are likely to dart across the street without looking both ways. Watch for children crossing the road unexpectedly, even after the bus lights have stopped flashing. Stay at least 10 feet back from a stopped school bus. This is generally the minimum length required for the driver to be able to see you in their mirrors if they decide to back up the bus. Children on bicycles can be unpredictable, so leave ample space between you and them. If you pass a child riding on the sidewalk, edge a little closer to the middle of the road if you safely can, and be alert for any sign that they might veer in your direction. If a child is riding on the road in front of you, be extra cautious if you need to pass them. Younger children, especially, tend to turn without signaling or looking around first. If you can, it is safest to stay behind them until they turn in a different direction. Now that school is in session, be alert to changes in speed limits during certain hours of the morning and afternoon. These changes coincide with the times of day when young pedestrians are most often walking or riding bicycles to and from school. Don’t block crosswalks when you stop at a red light or stop sign. Doing so can cause pedestrians, particularly children, to walk in the path of moving traffic instead. Always stop for a school crossing guard holding up a stop sign, whether or not you can visibly see children beginning to cross. Sometimes accidents happen even when we have taken all of the possible precautions. If you’ve been in an accident and would like to talk to us about your legal options, please call Steinberg Injury Lawyers for a free case evaluation at 800-989-6385, day or night.